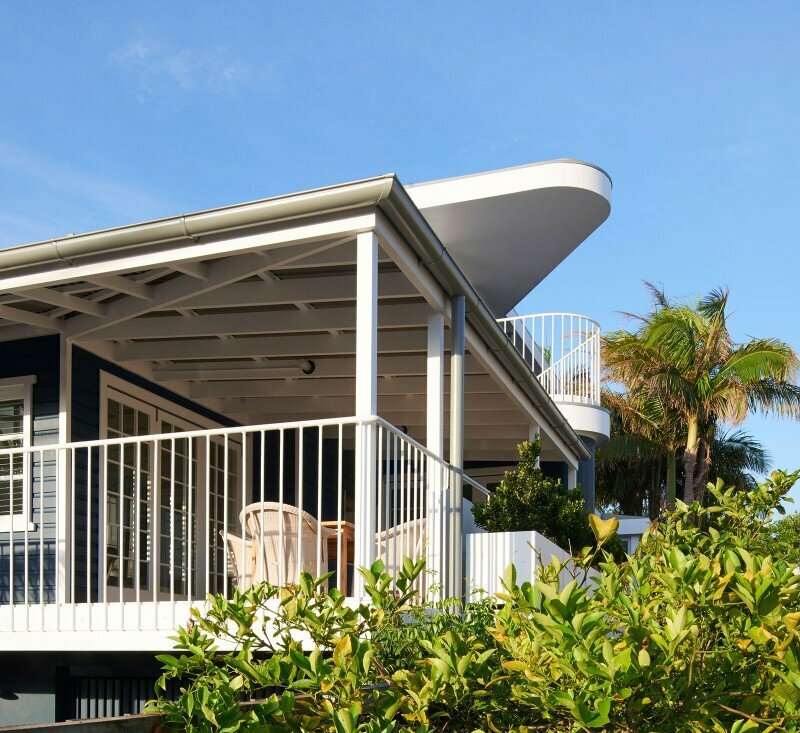 This Beach House on Stilts was completed by Luigi Rosselli Architects in Collaroy Beach, Warringah Council, Australia. High above the ground this cottage by the beach is secure from any rise in sea level and is now the restful retreat of a cultured couple. 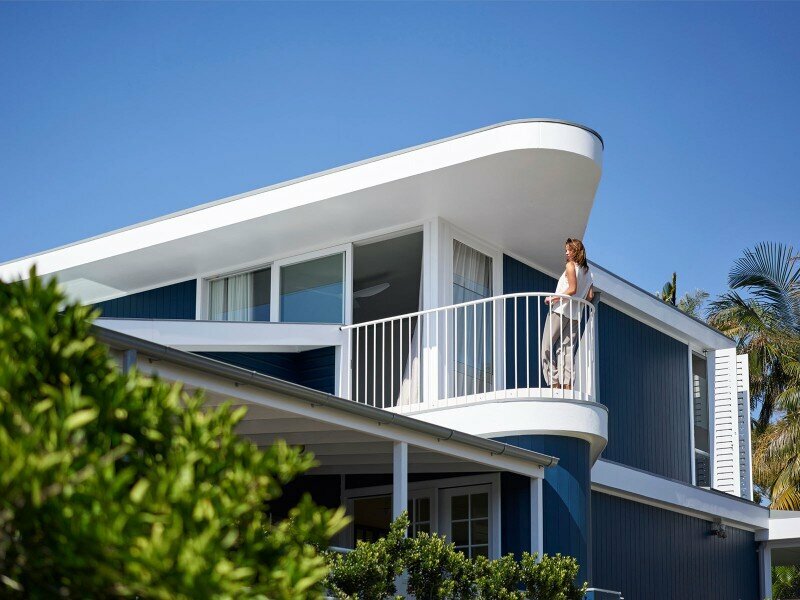 Above the existing bungalow a new first floor was added with the owners study and bedroom, and a captain’s deck aimed at the beach breakers view. The first floor additions are discrete and set back to maintain the street cottage character. The existing front veranda now extends with a wider side covered terrace, linked to the central kitchen and dining room. 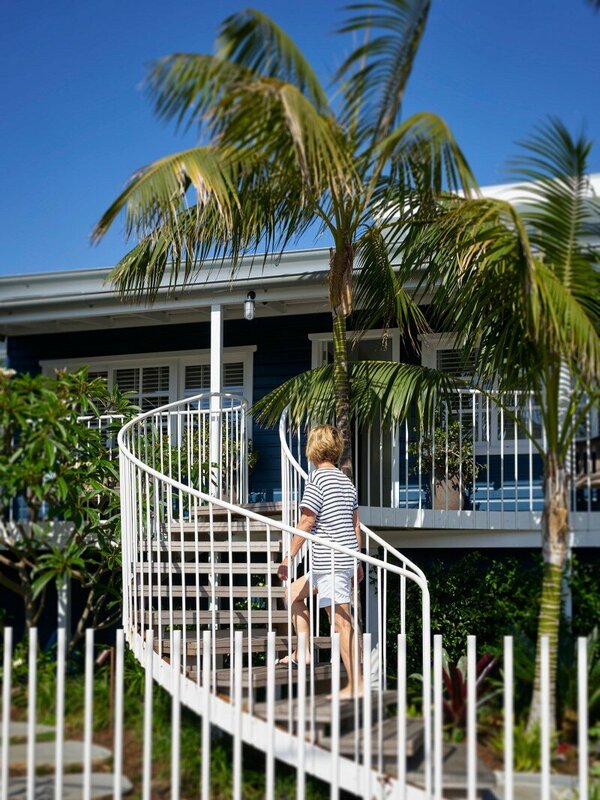 Behind the white picket fence on the front street, a circular stair leads to a relaxed timber veranda, ultramarine weatherboards and the original white timber windows make for a breezy, summery house. 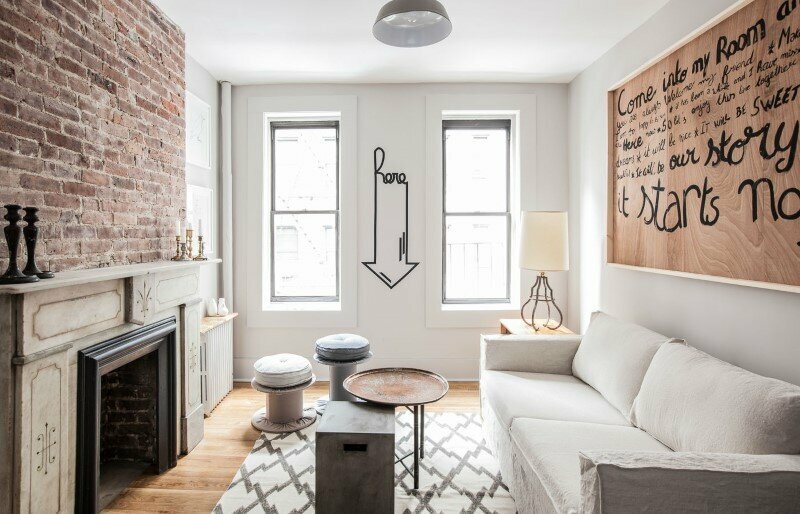 Bleached interiors reverberate with crisp and clear classical violin practices and hold a myriad of books encased in every wall stud and recess. 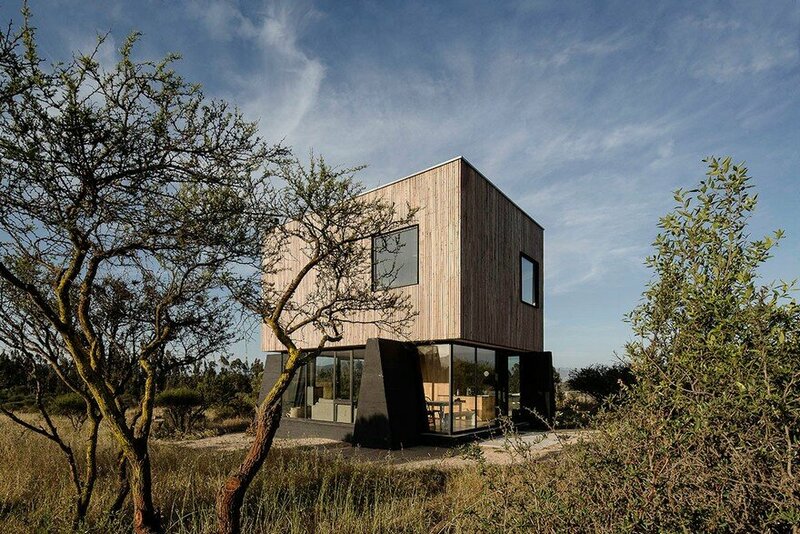 The sea breeze naturally cools the easily opened rooms. 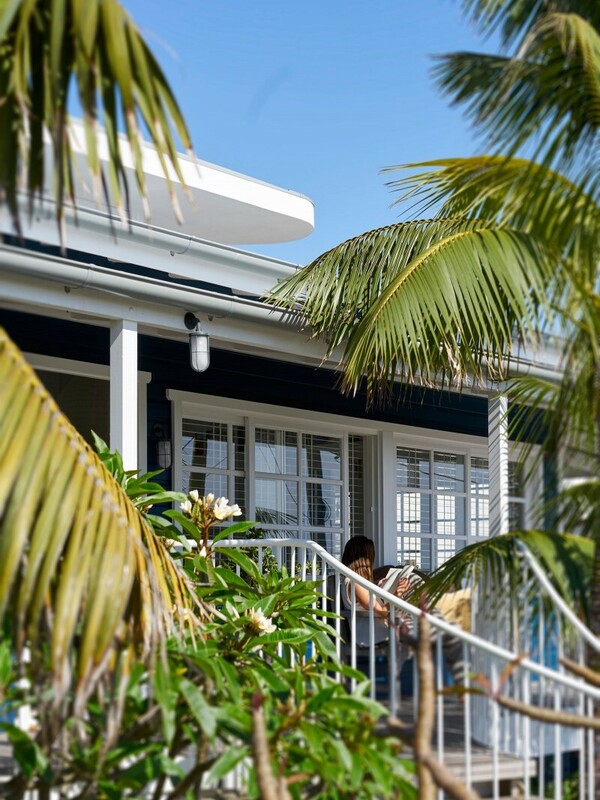 At the back of the house, facing into a small tropical garden dense with palms and ferns, there is a garden room with a massive sliding shutter that can be secured, and protects the fully furnished room when no one is at home. 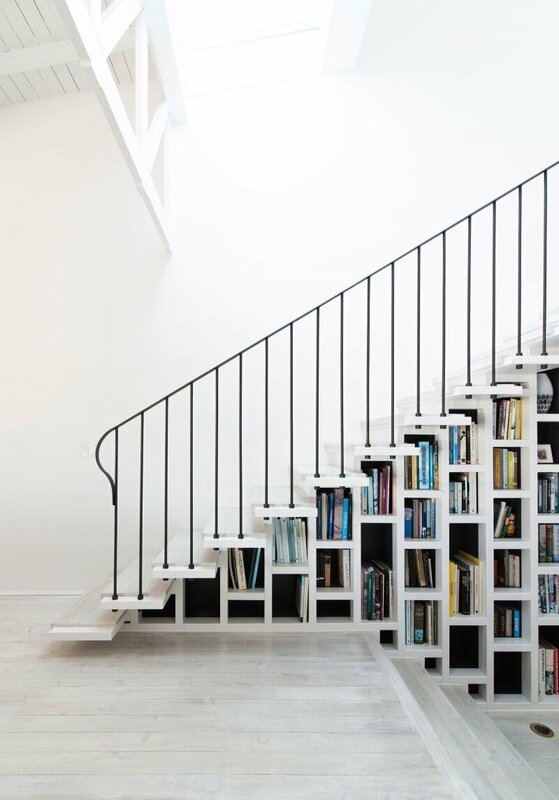 The stair takes position centre stage in the house, supported by a solid stud wall filled with bookshelves and bathed in natural light. 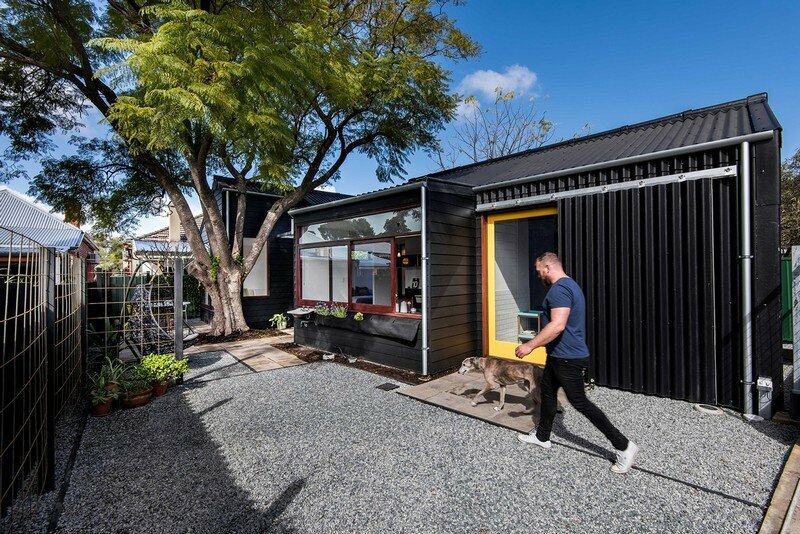 The additions are weaved through the old home with playfulness and sympathy towards the retained old timber work and the relaxed atmosphere of the stilted beach bungalow. 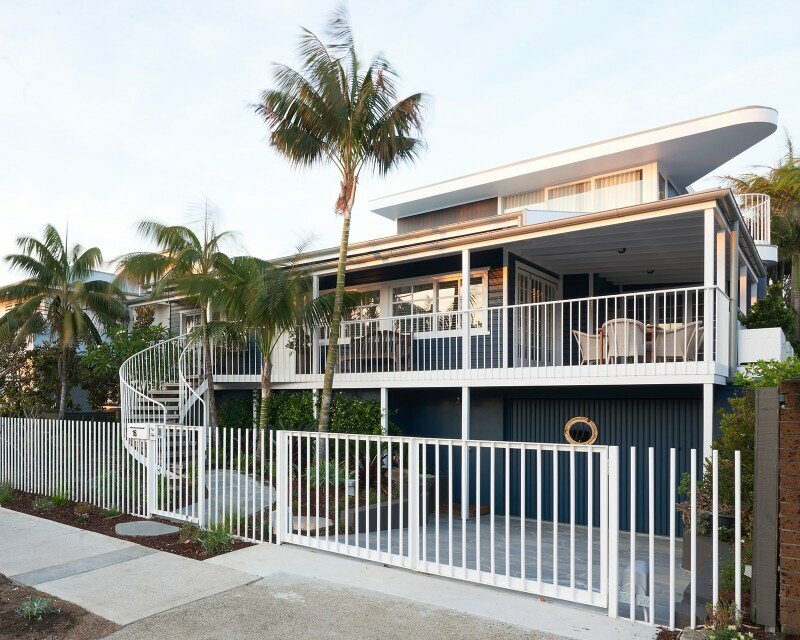 This beach house changes as the massive timber and aluminium louvres and shutters by JWI are adjusted and slid to open the building to light and natural cross ventilation, dramatically changing the spaces and keeping the building cool and air-conditioning free. 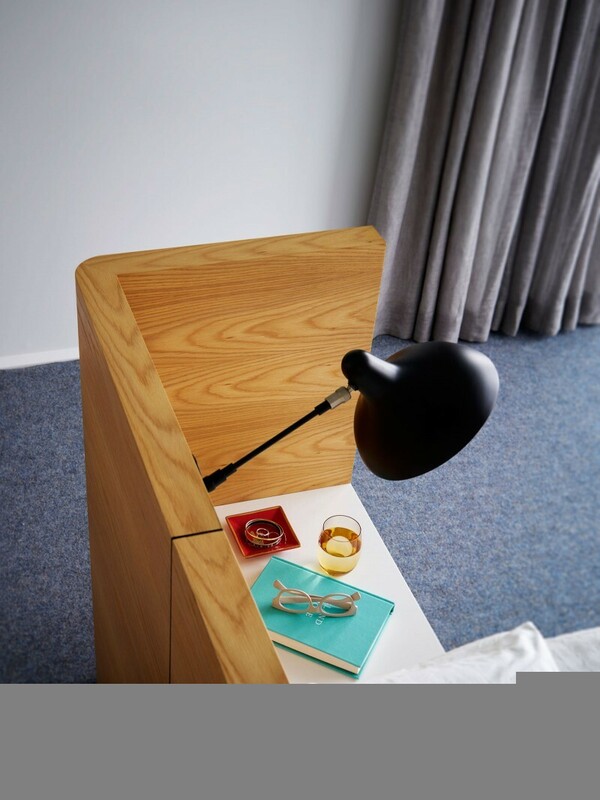 CNC routed shutters to the bedroom level control light, ventilation and privacy of the occupants. A private garden room retreat that connects the indoors with the rear outdoor tropical garden and entertaining area. 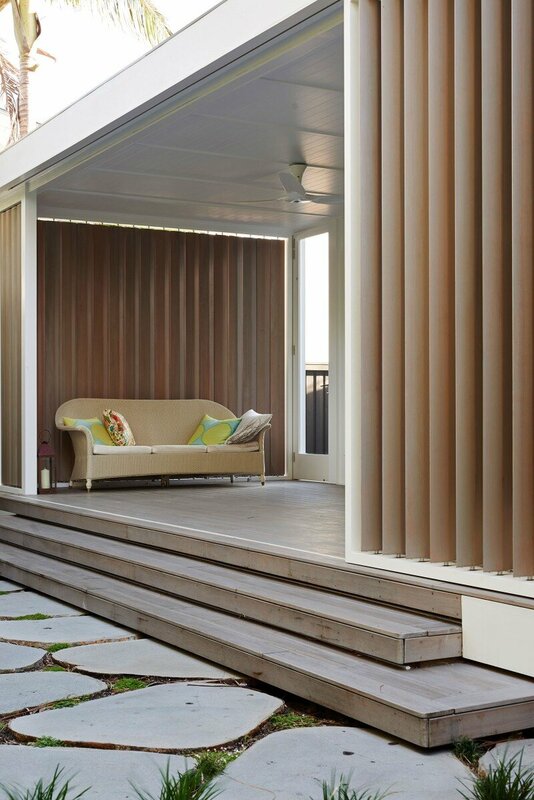 The western red cedar shutters by JWI protect the furnished retreat, and open up the house to the back yard. Timber panelling and bookshelves line the hallway as the stair treads lightly cantilever out from above. 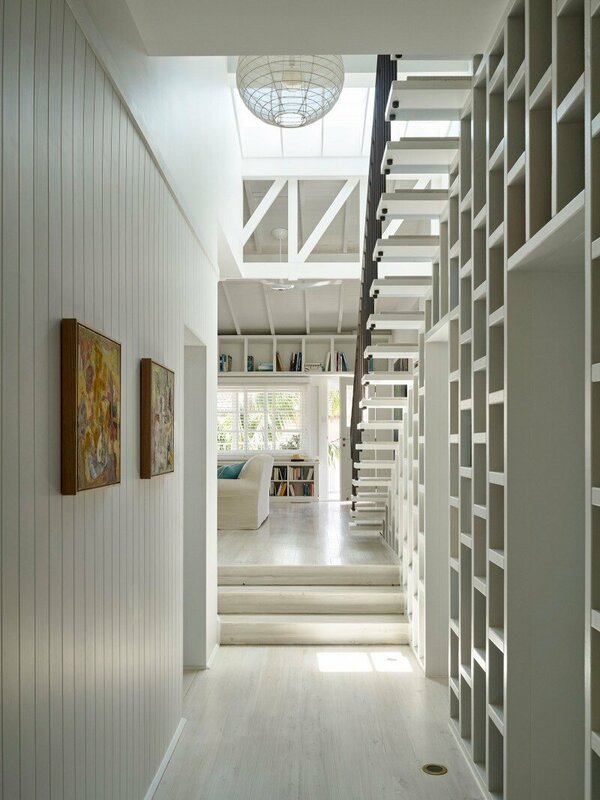 The bookcase is recessed from the edge of the stair, widening the hallway and allows the light to flood through the open stair treads from the skylight above. Original lining boards panelled raked ceilings and timber flooring were retained to maintain some of the original character of the building. New bookshelves over the windows, cover the existing walls, and add some insulation to the open living space. New custom black steel “Real Flame” gas fireplace with ceramic pebbles. 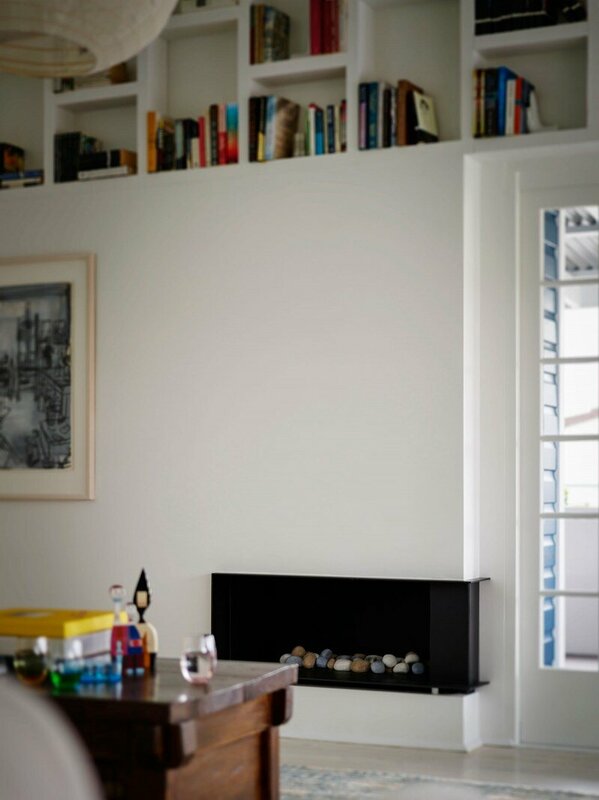 Stonewood Construction Pty Ltd skillfully built these alterations and additions including this fireplace. 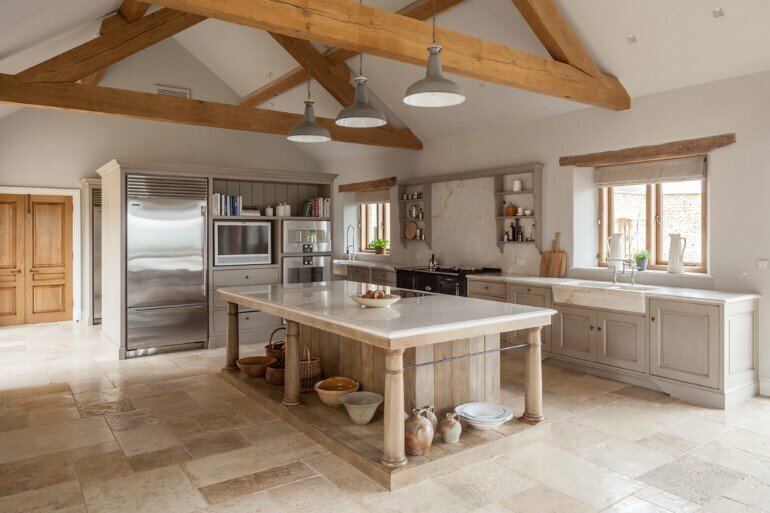 The center point of the kitchen is the freestanding kitchen bench, framed in nickel plated brass structure, american oak infill and Carrara marble bench top by Sydney Joinery. 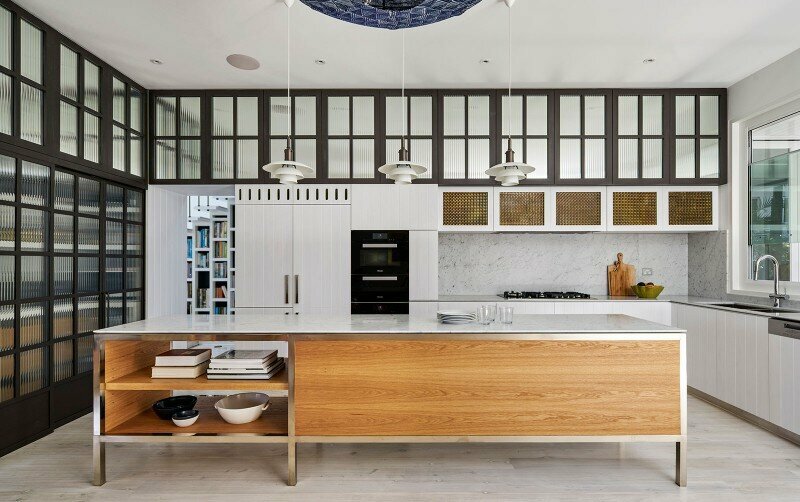 Aged woven brass mesh panels hide the range hood over the stove. Light filled and open, the dining area is accented by Kyris, a paper feature light by Paris Au Mois D’Aout. 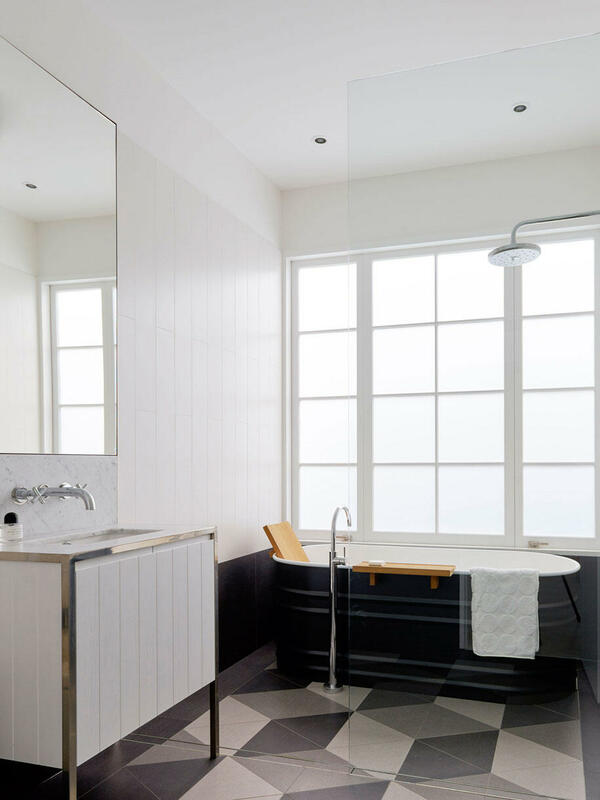 Steel bath on Escher inspired tile pattern supplied by Bisanna tiles. 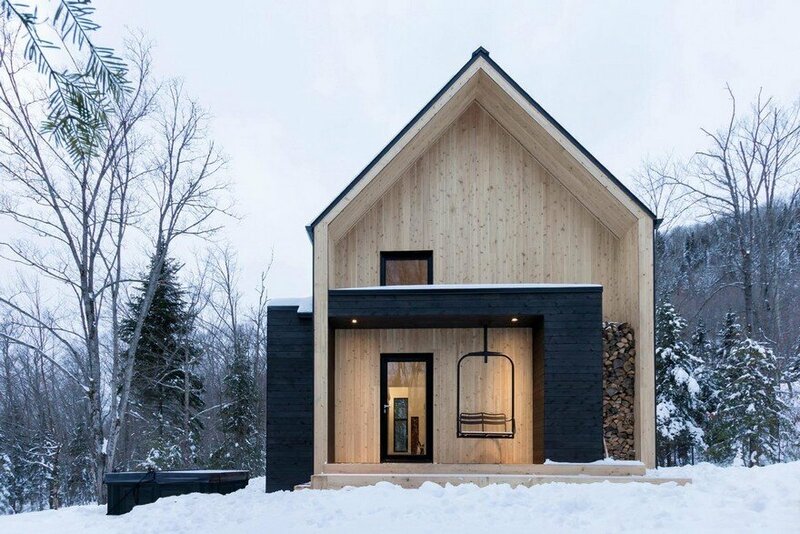 Nickel plated brass mirror frame and vanity structure infilled with timber paneling reflecting elements throughout the house, topped with a light Carrara marble top and splash-back. The music practice nook, fill the bleached interiors with the breathy, crisp sounds of the violin. 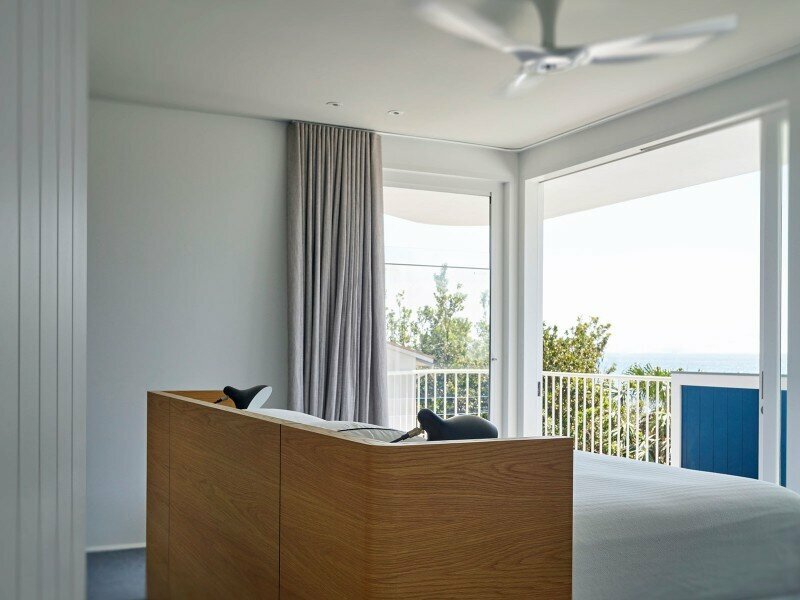 Ocean views from the master bedroom through the floor to ceiling doors and over the painted stainless steel balustrade and vegetation. 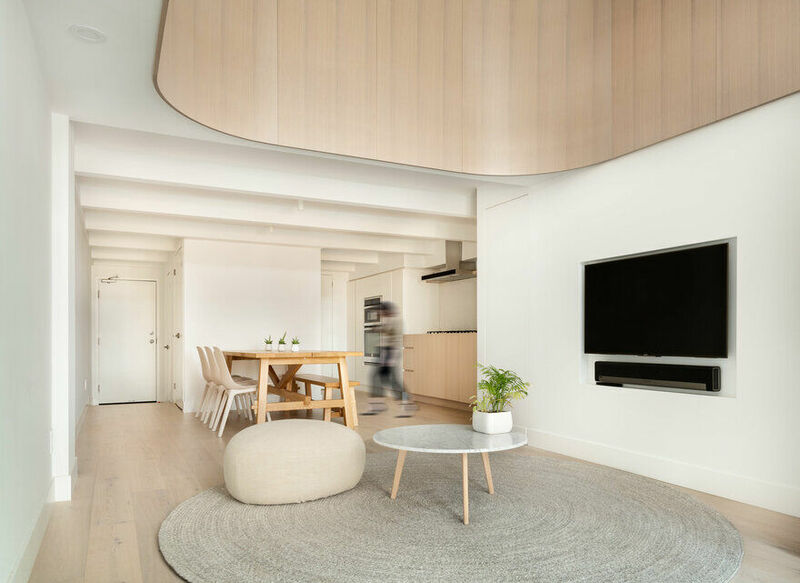 A Haiku fan silently keeps the occupants cool along with ocean breezes flowing through the rooms, large eaves, considered orientation of the spaces, air-conditioning is not required in this home.